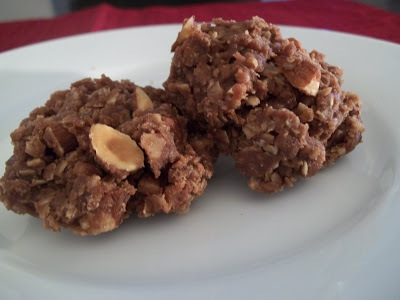 Classic no bake cookies upgraded with almonds! In a large saucepan combine butter, sugar, milk and cocoa powder. Bring to a boil and boil 1 minute stirring constantly. Remove from heat. Stir in almond butter, vanilla and quick oats until well combined. Fold in chopped almonds and toffee bits. 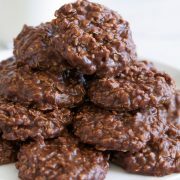 Place cookies by the spoonful onto parchment or wax paper and let cool. In a large saucepan combine butter, sugar, milk and cocoa powder. Bring to a boil and boil 1 minute stirring constantly. Remove from heat. 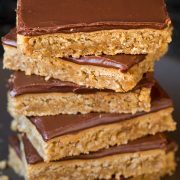 Stir in peanut butter, vanilla and quick oats until well combined. Fold in chopped peanuts and toffee bits. 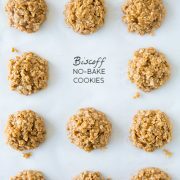 Place cookies by the spoonful onto parchment or wax paper and let cool. Your recipe is the post for 22 oct 2012.